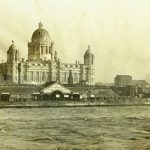 As part of our military themed month, we are delighted to bring you a guest blog post by military researcher Paul Nixon. 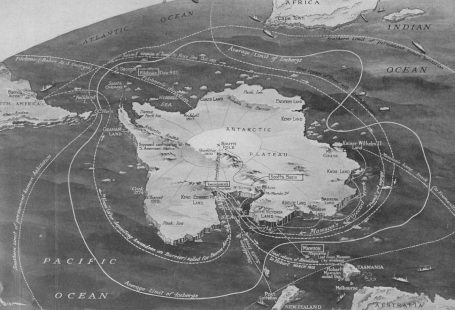 Paul is the author of the blogs Army Ancestry Research and Army Service Numbers 1881-1918. He has also recently launched a new endeavour, British Army Ancestors, a database of over 11 million men who served their monarch and country between 1850 and 1920 and a resource which enables visitors to search for photos of their ancestors or upload their own images. I remember, back in the 1990s, racing up to The National Archives in Kew from my home in Essex and spending the next however many hours poring over fiche, microfilm and steadily-deteriorating war diary pages. In those days I would use my annual leave allocation for trips to Kew, and in those days too, if you wanted to look at First World War medal index cards, you had to go to the front desk, request a single fiche, and then trot back with it to your microfiche reader. How times have changed. There has never been a better time to be a family historian and every week gets better still. For me, as a military historian, having the records at my fingertips is a blessing I could only have dreamed about in the 1990s and now, as well as the records themselves (where these survive), there are millions of newspaper pages too. 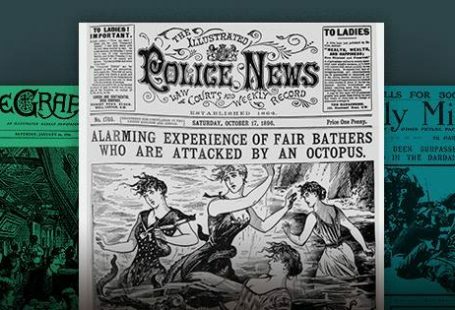 There are currently 837 titles and over 22 million digitised pages in The British Newspaper Archive, with thousands of new pages being added each week. This is a hugely important resource and one to which I always refer when I’m researching British Army soldiers. I hope the examples below will give a small indication of just how useful these papers can be. I acquired the photograph above, last year and I’ve cropped it to show the men close-up. The original though, is within a cardboard mount upon which somebody has helpfully scribbled the names of some of the personalities. All of these men are members of the 1st Dorset Rifle Volunteers and the photo probably dates to between 1896 and 1900. The man seated centre, wearing the cap and tweed suit is Rolph Pope of Eldridge-Pope of brewing fame, and he sits next to Colour-Sergeant Samuel Harris, on his left. Judging by his uniform insignia, Harris had served for at least thirty years in the Volunteer Force and in civilian life was the head gardener at the Borough Gardens, Dorchester. 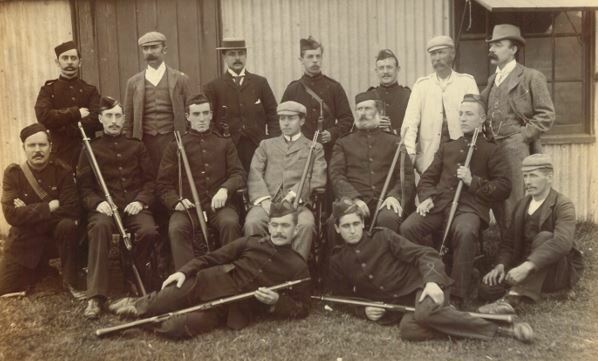 Thanks to whoever took time to name the men in this photo, it has been possible to identify many of these men in census and military records, however it was the Bridport News which really came up trumps with numerous references to the shooting team – and this is a photo of that shooting team. Volunteer Force army career: a private in 1890, lance-corporal in 1894, corporal in 1895 and sergeant by 1899. Unfortunately, in my photograph, Rolph Pope’s head obscures that part of George Bellinger’s sleeve which would have carried his badges of rank, but I’m guessing that there would have been two stripes there indicating the rank of corporal. 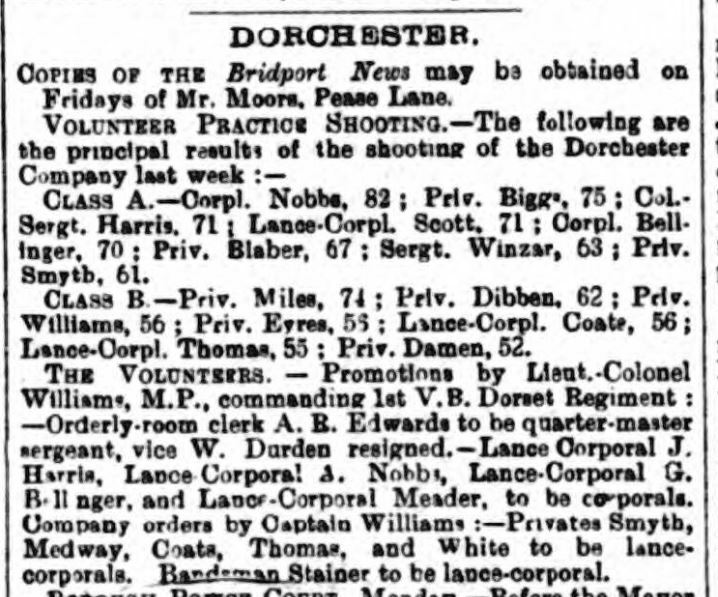 In this case, the Bridport News (and the Victorian journalist’s love of lists of names) has really helped put meat on the bones; of particular importance for men of the Volunteer Force as these service records do not, as a rule, survive. Fast forward a couple of decades and the newspapers published during the First World War can provide the researcher with key information not easily found elsewhere. 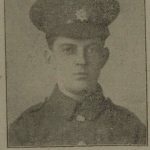 Take the example of 8489 L-Cpl William Crossley of the 17th Manchester Regiment. He appears in a group photo of 10 Platoon, C Company (above) which was probably taken in early 1915 and later published in the Manchester City Battalions – Book of Honour. 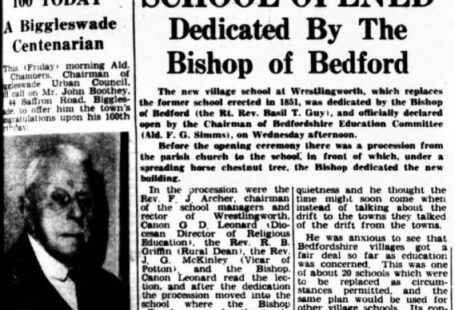 Although in his case there are surviving papers in series WO 363 at the national Archives, and published as part of Findmypast’s British Army service records’ collection, the obituary that would later be published in the Manchester Evening News gives additional information and also reproduces a photograph. The publication of this photo also enabled me to identify William on the group photo above. Official casualty lists, published daily until August 1917, and including lists not only of those who died, but those who were sick, wounded, missing, prisoners of war, or who had been admitted to homes hospitals were published in The Times, The Irish Times and The Scotsman. This latter publication is one of the titles published by the BNA and is an essential resource. In fact, so essential are these newspapers for a military historian, that I have created separate lists of papers covering the years 1914-1918 and those covering the Boer War years 1899-1902. Clicking on the links will take you to those newspaper lists which are published on my Army Ancestry Research blog. And finally, as if the general newspaper collection on its own was not reason enough for any self-respecting military historian to go rushing off to subscribe to the BNA collection, remember too that the BNA also includes specialist military publication such as the Aldershot Military Gazette (1859-1918), Army & Navy Gazette (1860-1921) and the Naval & Military Gazette (1833-1886). 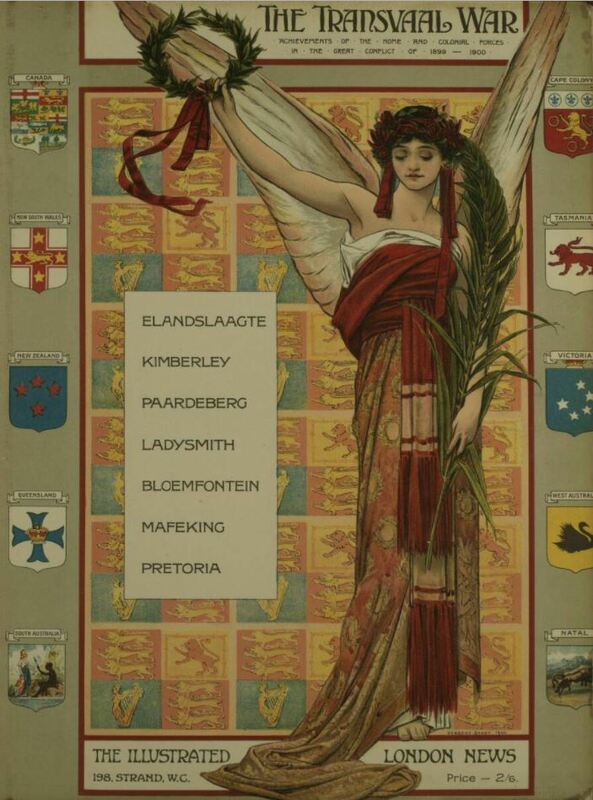 Many local newspapers, from the Boer War era in particular, also carried comprehensive supplements. The stunning illustration below appeared in an Illustrated London News supplement published in November 1900.